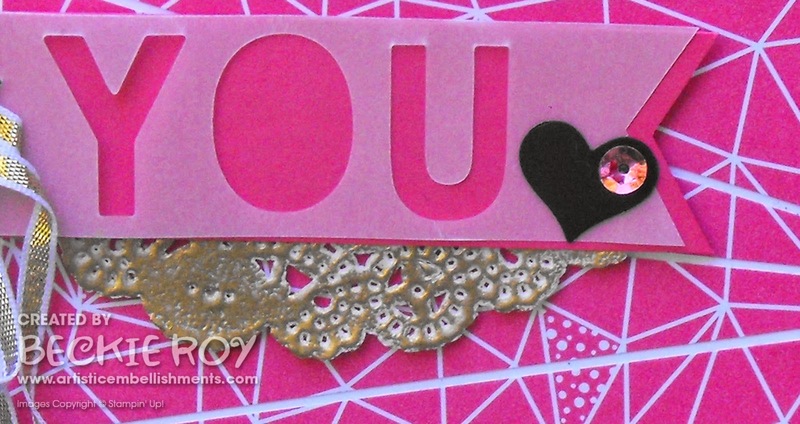 Artistic Embellishments: Little Letters - YOU rock! Good Morning! If you know me you are going to be shocked by what you're about to see!!! A card made with PINK!! I know, I told myself a while ago I would embrace the pinks - so here's another attempt. I bought a bunch of designer series paper while they were on special in July (buy 3, get one free!) 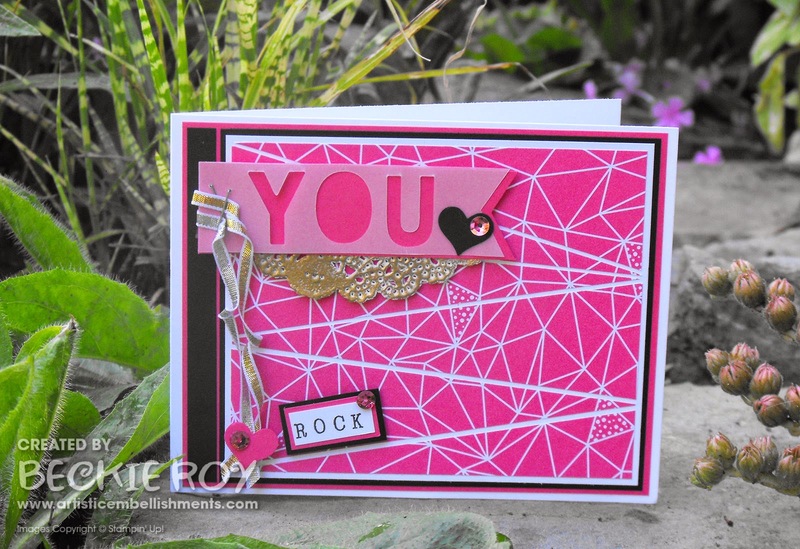 and I just loved the bold and geometric patterns in the Confetti Celebration pack. I decided to go with the pink one, since I really liked the patterns. I cut diagonal strips - almost like long triangles and adhered to a piece of whisper white cardstock, I did leave slight gaps to have the white peek through. I layered my designer paper piece onto basic black, then strawberry slush. I stapled two pieces of ribbon - a piece of 1/8" Silver and gold... so silky and smooth. I curled the ribbon and to keep it in place, added a pink heart with another rhinestone. The ROCK was made with the Alphabet rotary stamp. I hope you like it - I think I'll have to embrace the pink more often, as I love how it turned out!